You’ve sold items from your clutter individually. You’ve sold some more in bulk. You’ve hosted a yard sale. After all this, you still have some items. What do you do with them? 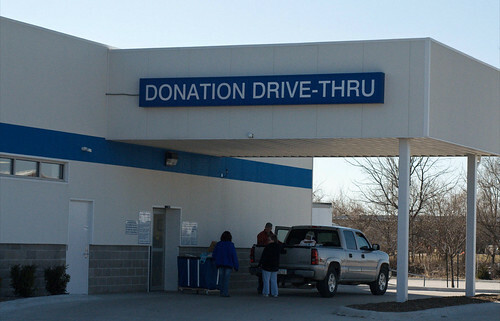 You’ve reached the point of giving them away, but that doesn’t mean you can’t still recoup at least a little value for your donations. When we have items that seem to be unwanted and are unable to sell, our first option is to donate those items to a charity that can put them to use, whether through selling the items themselves or through using them. The most straightforward way of doing this is through a thrift store. We simply box up those unwanted items, take them to a local Goodwill (or similar store, such as the Salvation Army), and see if the store will take them. Typically, donations to Goodwill (and other charity thrift stores) are tax deductible. Usually, you have to keep track of what you donate (they’ll often provide you with a receipt) and then estimate the value of the donation. If you’re filing long form, you can claim the value of the donation as an additional deduction on your taxes, lowering your tax bill. For example, let’s say you’re in the 25% tax bracket and you donate a pile of items to Goodwill, and you’re able to value the items at $100. If you’re filing your taxes with itemized deductions, you’re going to be saving $25 on your taxes, which results in $25 in your pocket. If you find yourself with items that you simply can’t get rid of in any other way, I suggest boxing them up, labeling the box with “next yard sale,” and then putting them out at your next yard sale at the lowest price. This way, you may yet recoup a bit of value from the items. Another option is to simply give the items away to people who might use them, such as neighbors or friends. If you know someone who could actually use the item, just give it to them. The goodwill and friendship that you build by being generous is quite valuable. Just be sure that they actually want the item before you drop it on their doorstep, though. It’s important to remember that these options are best used when you’ve used other tactics to extract value from your clutter already. At this point, you won’t be receiving very much at all per item, so you should use these tactics as an avenue of last resort after you’ve explored other options. If you’ve gone through all of these steps, you’ve likely cleared a lot of clutter out of your house. You have more money in your pocket and have much more space and access to the items that really matter to you. That’s a double win.